The Terrafugia TF-X is being developed by Terrafugia in Woburn, MA. The TF-X utilizes folding wings that allow for landing in compact areas, and two propellers for propulsion. The TF-X is the next model in the line that is anchored by the Transition. 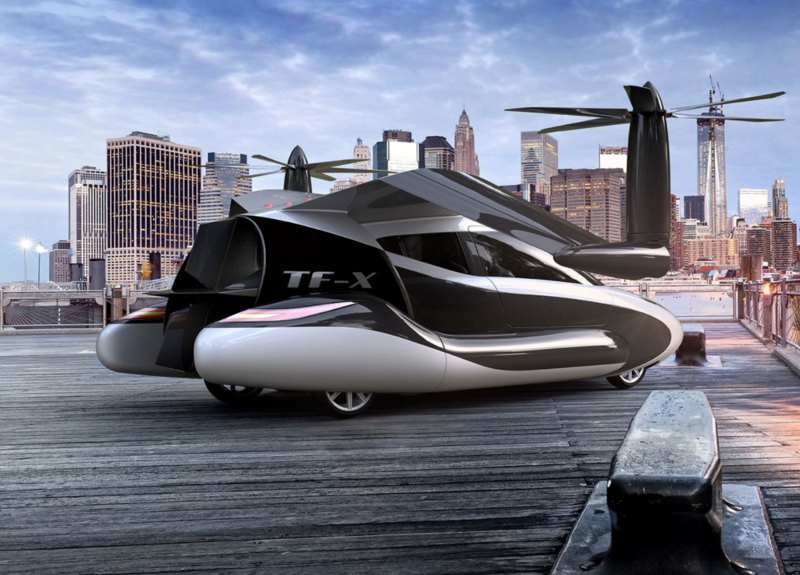 The Terrafugia TF-X aims to replace the Terrafugia Transition as the premier flying car in the Terrafugia product line. Terrafugia is in the unique position of being able to apply the lessons learned from their Transition vehicle directly to design and production of the TF-X. Additionally, the company is concurrently developing the modular TF-2 system to aid in transportation of commercial freight payloads, or even persons. Stay tuned on Transition developments as an indicator of future success for Terrafugia.